Top of the price list tonight. Fancy place full of business types. 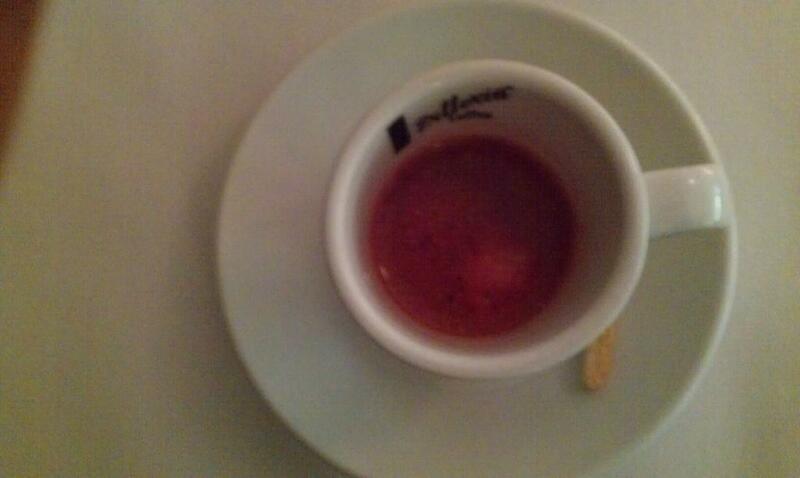 The tiny serve of tomato soup was very nice. Strangely un-acidic. The main was lamb with some kind of vegetable puree. 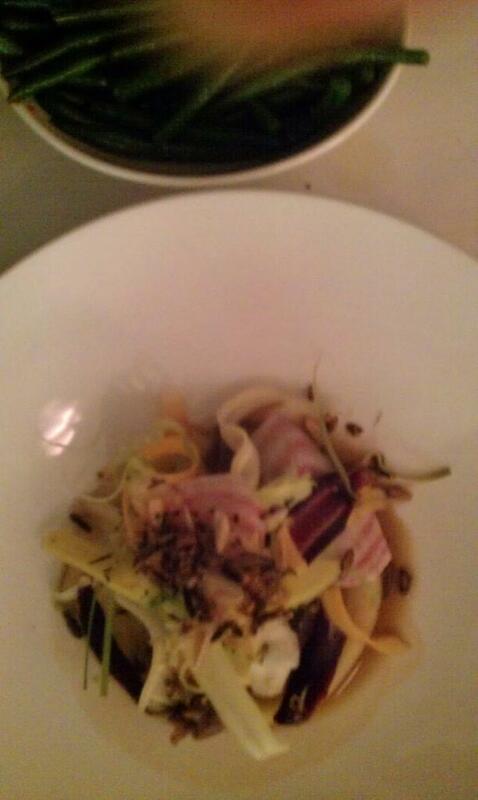 On top were crunchy grains of barley, slivers of various crispy vegetables and maybe a beet sliver too. That was a nice garnish, but the style of disintegratingly tender lamb wasn’t to my liking. It was dry, and had a singular flavour I’d describe as “concentrated lamb”. Very figgy. 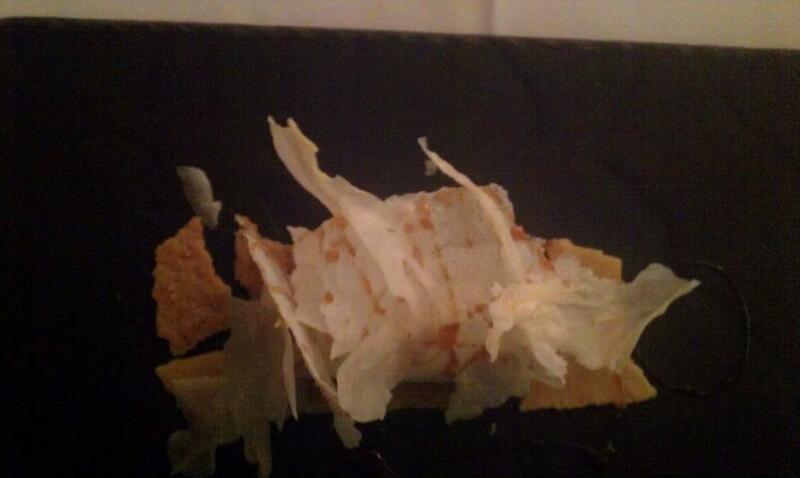 Pancaky shards didn’t add anything, but an interesting gelato nonetheless. 42.90 all up. Not bad.